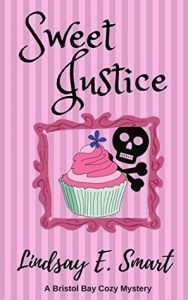 Posted in Cozy mystery, Ebooks, Fiction. 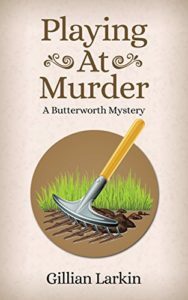 This is short , lively cozy mystery, despite the fact that our two protagonists are retirees. Connie and Sable, who are sisters-in-law, join forces as private investigators to keep themselves busy. Sable is dragged rather unwillingly into it to start with, but she soon begins to enjoy herself and provides the tough edge and technological savvy that Connie lacks. Their first case is looking into the disappearance of child-minder Rachel. She’s the sort of person who would never leave her clients in the lurch so there’s definitely something fishy going on. Connie and Sable relish the challenge and prove to be rather good at what they do, which includes irritating the local police force. 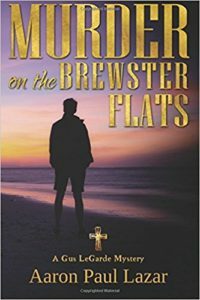 Fortunately DI Saffron McCue was a good childhood friend of one of Connie’s daughters, so she can’t get too cross with the well-meaning amateur detectives. Lots happens in the story to keep both the dynamic duo and the reader on their respective toes. There’s humour, grit, confidence, doubt, triumph and terror. The plot is clever and keeps us guessing. 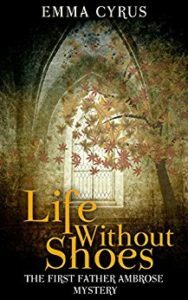 The author’s writing style is clear and enjoyable, and she creates beautifully rounded characters for us to encounter. An excellent start to a series which I shall be following. 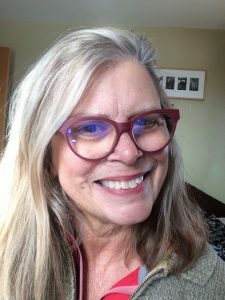 My only quibble – well, I’m an editor so there has to be at least one! – is the title. I can see where it’s coming from since a child’s play area is involved in the story, and it also reflects the fact that the two ladies may be seen to be ‘playing’ at what they’re doing. But to me it doesn’t quite make sense. However, it’s catchy and concise. I received a free copy of this book and have written this review voluntarily. 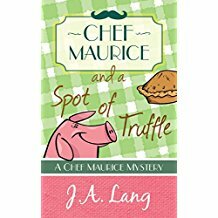 T his is an office-based cozy mystery, which, it has to be said, makes a welcome change from the plethora of bakery-based ones! It’s set in Bostoff Securities where Janet Maple, our heroine, has just been given a job by long-time but rather controlling friend Lisa. Having worked in the DA’s office, Janet has a nose for intrigue and cover-ups. So she quickly becomes alarmed when she notices that things, such as the complicated company structures, don’t seem to add up and starts to do a bit of digging. 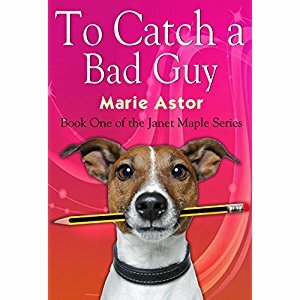 Janet finds herself in the awkward situation of suspecting her friend and boss guilty of wrong-doing. She’s not the only one. Her apparently nerdy work colleague Dean (the alias for Dennis Walker, an undercover agent) is on the case too and the pair find themselves working together, as well as becoming increasingly attracted to each other. The author has a very clear, concise, polished style that makes for enjoyable reading. The characters are nicely rounded and I suspect the major ones will develop further as the series progresses. The plot is clever and it’s interesting to get an insight into how a securities firm works. All in all, a different and enjoyable cozy, although it has to be said that Baxter the dog could do with being let out a lot more often! I received a free copy of this book from the author, but this is a voluntary review. You know, this book really works! I was a little worried to start with that it wouldn’t, since it quickly emerges that there’s a magical paranormal element, and yet the book has such down-to-earth characters and a plot that has financial concerns at its core. Can such prosaic realism and such imaginative make-believe act in harmony? With this author, most definitely. Frank, the heir to the Jamieson ice cream fortune, disappears together with his trust fund leaving his wife, Christy, and his daughter, Noelle, at the mercy of Frank’s trustees. Their marriage wasn’t successful but Christy is genuinely worried about her husband and knows this behaviour is out of character. However, everyone else seems to accept it all at face value. She is desperate to find him. Christy and Noelle have to make big economies and so move to a smaller house, next door to the Armstrongs. Quinn Armstrong, a journalist, at first pursues Christy for a story since there are suspicions she’s involved in the money’s disappearance. To begin with she refuses to have anything to do with him, but soon she needs his help. In return for a scoop on Frank, he agrees to help her. 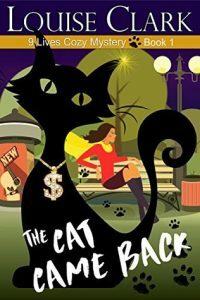 More assistance comes from Stormy, Christy’s cat, who ends up on Quinn’s doorstep. There is a lot for Christy and Quinn to deal with, not least the growing attraction between them. It all makes for a very enjoyable and innovative mystery. My only quibble is with the title. There are an awful lot of books with the same title. I’ve mentioned this before in reviews, but it is vital for a book to be instantly findable. A distinctive, unique title is a must! Posted in Book reviews, Cozy mystery, Fiction, General. 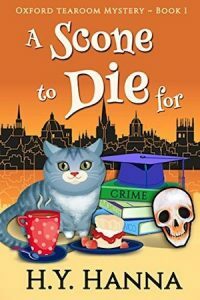 I am a great fan of cozy mysteries, as you’ve probably guessed by now. What you may not know is that I’m also equally addicted to scones. So how could I possibly resist a cozy involving scones and that’s also set in Oxford, where I spent three wonderful years as an undergraduate rather longer ago than I care to remember! I was hooked by this book from the very start. It has a very dramatic opening: “I never thought I’d end the week facing an American with a sharp knife.” Gemma is our narrator. She owns the Little Stable Tearooms in Meadowford-on-Smythe. She’s turned her back on corporate life to follow her dream, much to her parents’ despair. But she’s sure she’s made the right choice for her. However, when the unpleasant American turns up dead outside her tearooms the next day with one of her scones stuck in his throat, then even she begins to wonder if she shouldn’t have stayed in Sydney. She decides to investigate, helped by a group of very nosey old ladies and her own inside knowledge of Oxford, where, like me, she was a student. The police are busy hunting down the killer too, led by Devlin O’Connor, Gemma’s ex-boyfriend who was at Oxford with her. His reappearance results in a lot of mixed feelings for Gemma and definitely causes complications. There’s a great deal of fun and clever writing in this book. It’s delightful – sweet but never cloying, and tongue-in-cheek at times but never slapstick. Extremely entertaining, it’s cozy at its most delicious. 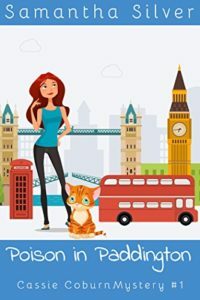 It comes with an explanation of very British terms for readers from different backgrounds, and has a glossary of those strange terms that Oxford University positively revels in. And there’s a recipe for scones too. What more could you ask for! More books in this series? Then don’t worry, there are currently four more books to enjoy, and there’s even a prequel too.